Juventus currently lead the standings, but have both Milan giants, and Napoli, hot on their heels. 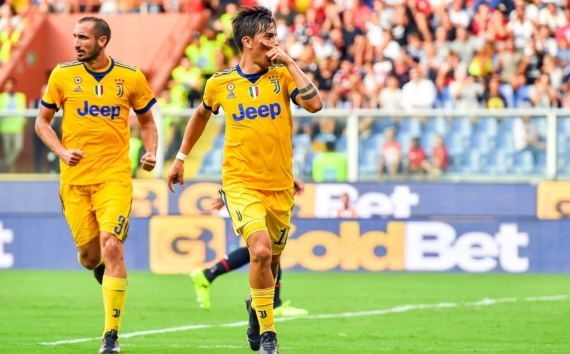 It’s only round three of the Italian Serie A and the champions, Juventus, have already begun to lead the pack as they look to make an early break away from the rest of their challengers for the all-important Scudetto. But with both the Milan clubs hot on their heels, as well as their usual title-rivals Napoli, the 2017/18 season looks set to go down to the wire. Let’s not hype ourselves up just yet, we still got another 36 gameweeks to go. We kick-start proceedings with the table-toppers and favourites to be crowned champions come the end of May – Juventus playing host to Chievo. This should be pretty straight forward. The Old Lady were unbeaten on their ground last term with 18 wins from 19 games, scoring 48 goals and conceding only nine times. Chievo are winless against Juventus in nine of the last 10 meetings and are tipped to fall short once more. However, the straight home win offers little value, rather get on the (-1) Handicap at 11/20. Sampdoria and Roma will lock horns in Saturday’s final showdown. The hosts have made a bright start to the season with back-to-back wins but come up against last season’s runners-up Roma. The Giallorossi are off the back of a 3-1 home defeat at the hands of Inter Milan and will be determined to bounce back. An end-to-end game of football is expected. The last five meetings between the sides have produced 20 goals at an average of four per game. With that being said, the Over 2.5 Goals looks an eye-catching bet at 11/20. Sunday’s lunch-time kick off will see Inter Milan take on newly-promoted Spal 2013 at the San Siro Stadium. The home side have been in top form with two wins on the bounce, scoring six goals and conceding just once. I can’t see Inter dropping points here either. They look rejuvenated and ready to push Juventus all the way this season. The home win at 1/4 looks a sure bet but I’m going to jump on the Halftime-Fulltime double at 7/10. Atalanta have made a stuttering start to the 2017/18 campaign, suffering consecutive losses, but both defeats came at the hands of last season’s second and third place finishers Roma and Napoli. Next up is Sassuolo, who are yet to score a goal. Both teams are low on confidence but will be equally desperate for maximum points. I’m expecting Atalanta to capitalise on home advantage; get on! Hellas Verona will take on a struggling Fiorentina outfit at the Stadio Marc'Antonio Bentegodi on Sunday afternoon. The Gialloblu claimed a goalless draw last time out and will look to build on that but the newcomers have lost their last five meetings at home to Fiorentina. The Viola have lost their opening two games and desperately need to find their feet. Hopefully the international break would’ve given them time to strategize and organise. A tight affair is on the cards but Fiorentina are tipped to edge the win. Lazio and AC Milan will square off in what is undoubtedly the biggest match of round three. The Biancocelesti showed great fighting spirit to earn a 2-1 victory over Chievo prior to the international break and will be hoping to make it back-to-back wins when they take on AC Milan. The Rossoneri have been in top form with two wins on the spin, scoring five goals and conceding only once. Goals are expected here with the Both Teams To Score – Yes – market looking ripe for the taking at 11/20. Cagliari and Crotone will clash in one of the least exciting matches of the round. Neither team have claimed a victory as yet, so that will at least add to the hype around the contest. Bottom-dwellers Cagliari have suffered defeat in both their matches, scoring once and conceding five times. Crotone were held to a goalless stalemate at home against Hellas Verona last time out, while AC Milan smashed them 3-0 in the opening round. Both sides look weak going forward, making the Totals – Under 2.5 Goals – market a great betting option at 9/10. The Udinese and Genoa clash is one that can go either way. The home side have lost both their games, while Genoa have claimed a single point after the opening two rounds of football. Udinese won this fixture 3-0 at home last season but Genoa are looking a slightly better force at present. Six of the last seven meetings have seen both sides find the back of the net, so I would suggest getting on the Both Teams To Score – Yes – market at 8/10. New boys on the block, Benevento have made a poor start to life in the top flight with consecutive losses. Torino were outstanding in round two with a thumping 3-0 home win over Sassuolo and they will be confident coming into this encounter. The Granata had a dreadful travelling record last season of just four wins from 19 matches but I just can’t see the newcomers utilizing home advantage. Back Torino to come away with maximum points. The final match of the round will see Bologna come up against a firing Napoli side. The Rossoblu did well last time out to grind out a 1-0 victory at newly-promoted Benevento but know they will face a tougher test in the form on Napoli. Gli Azzurri have recorded two 3-1 victories in the opening two rounds and will be determined to build on that. However, 7/20 on the away win doesn’t offer much value but the 6/10 on Over 2.5 Goals looks a better way to go. After all, the last nine meetings have followed that pattern.